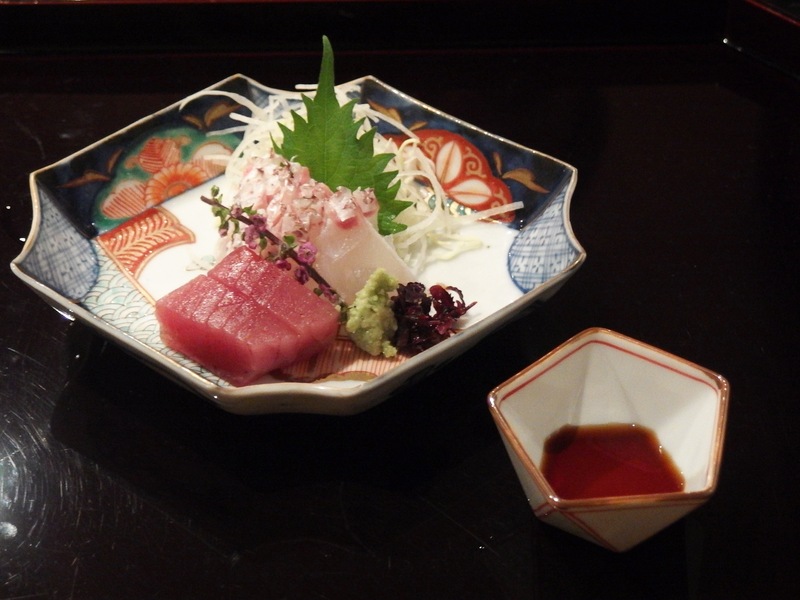 When in Kyoto, Gion Mametora is a fantastic choice for those looking to dine on unique local cuisine. 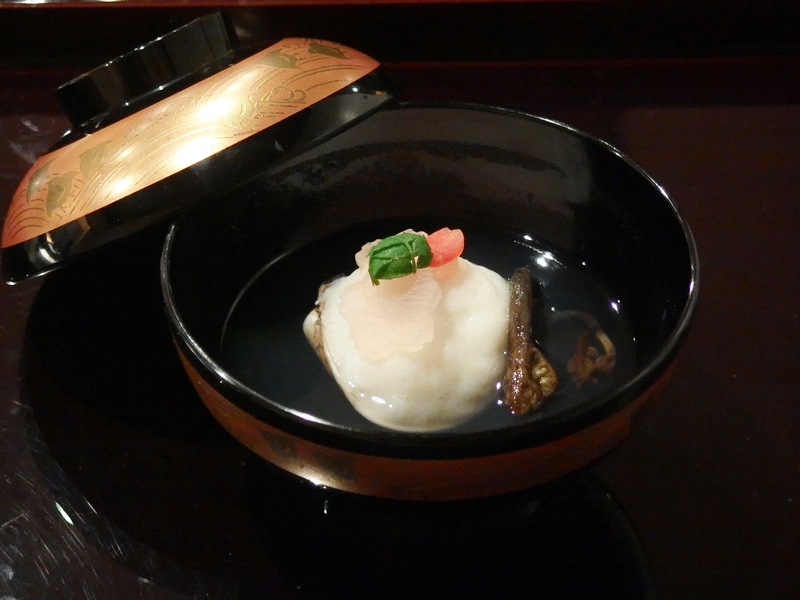 The restaurant serves kaiseki ryori, an elegant course menu based on what’s in season. However, its speciality is mamezushi – small, roundish, bite-sized sushi. Also called ‘maiko-zushi’, they were originally designed for Maiko (Kyoto’s apprentice geisha) so they could easily eat sushi without opening their mouths too wide. Each piece is also made to be eaten ‘as-is’, no soy sauce is necessary. The restaurant is open for lunch from 11:30 to 14:00 and diners can choose from two courses. 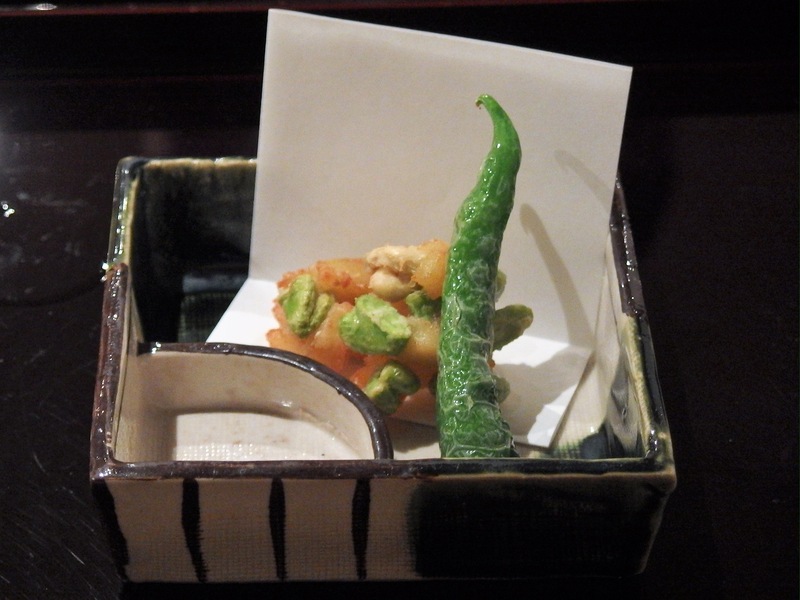 The small course offers a single appetizer, soup, deep fried vegetables, a collection of mamezushi, and a Japanese sweet with hot tea for 4200 yen. 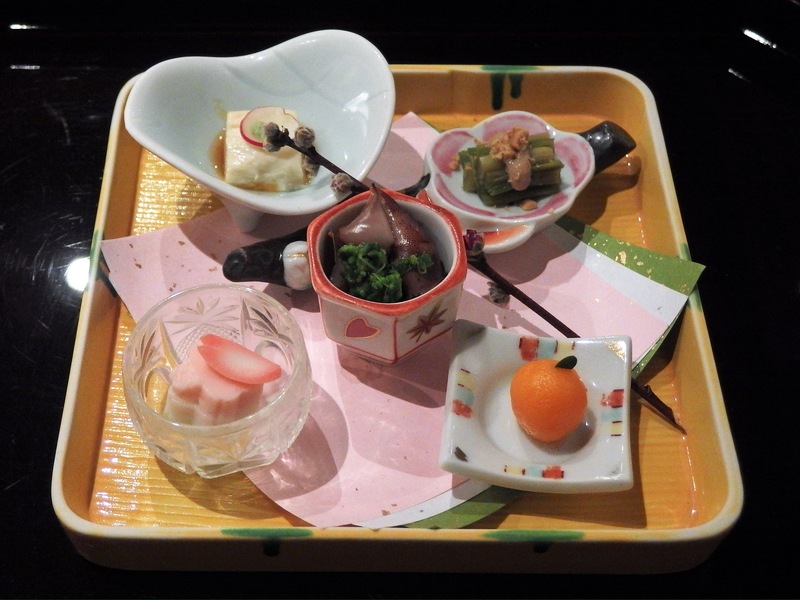 The larger course is similar, except there are multiple appetizers and is priced at 6000 yen. 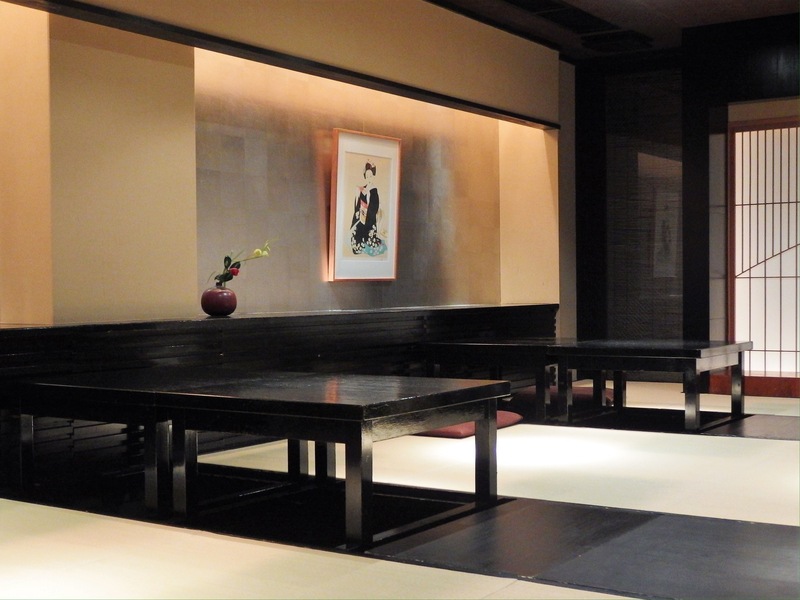 Mametora reopens for dinner from 17:00 to 21:00. 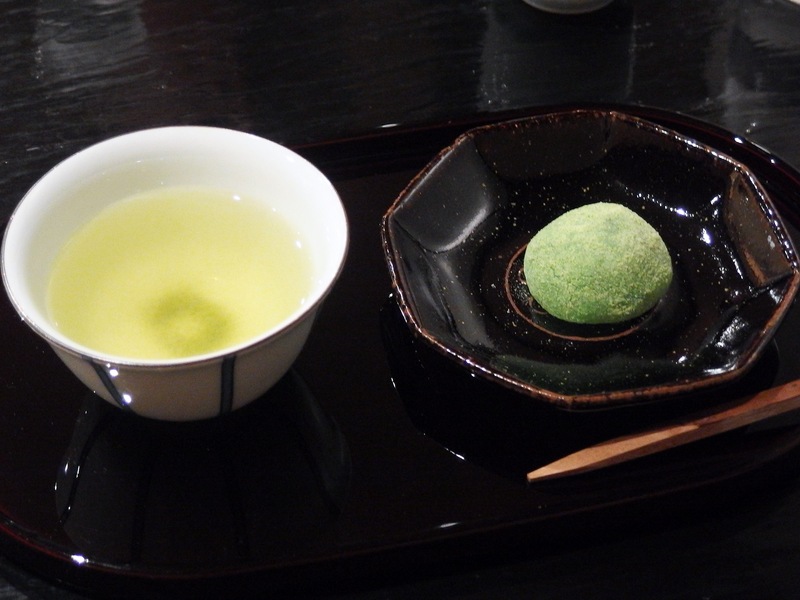 They offer two mamezushi courses (8,800 & 12,000 yen) and three kaiseki courses (10,000 – 20,000 yen). I recommend the smaller mamezushi course as it offers a wonderful selection of seasonal specialties at the most reasonable price. And, there is plenty to eat. Beer, wine, sake, whiskey, shochu, and soft drinks are all reasonably priced between 500 – 900 yen. 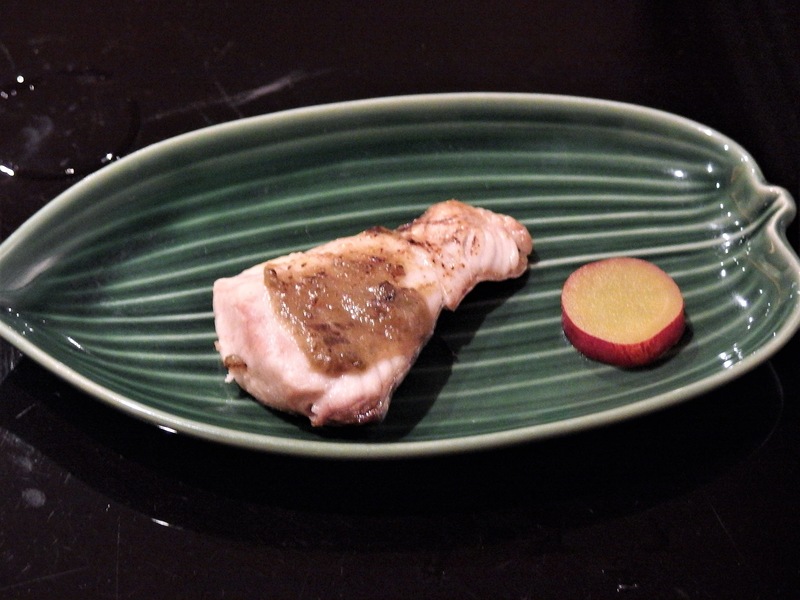 There are many reasons why Mametora is a great dining option in Kyoto. 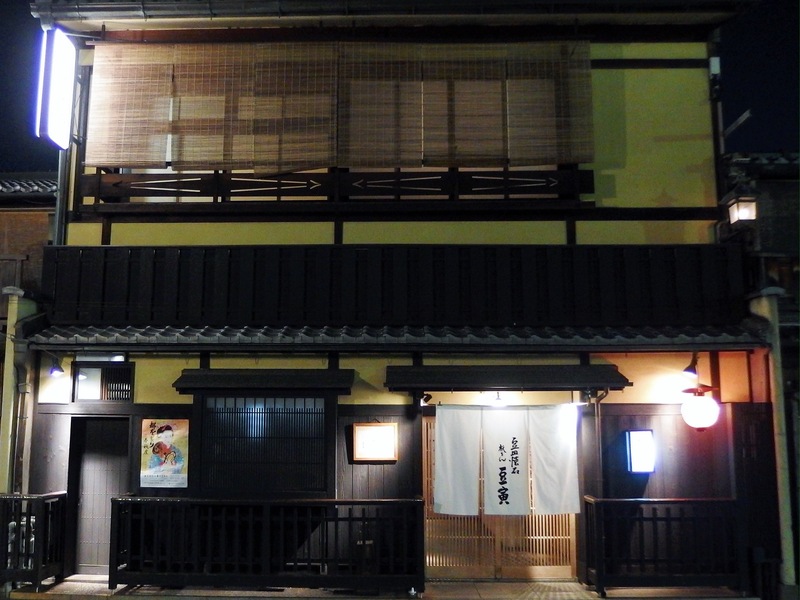 It is housed in a lovely two-story traditional wooden building on Gion’s Hanamikoji-dori. The interior is beautifully decorated and there are multiple seating options – I recommend that you reserve seats at the counter that overlooks their inner garden. The restaurant has some English speaking staff and is completely non-smoking. *Reservations are highly recommended. Although the courses come out rather slowly, Mametora is a great choice for foodies who want to dine on fresh, authentic, seasonal Kyoto delicacies. The restaurant is not recommended for picky eaters or those with special food requirements – although, if you call in advance (in Japanese), they might be able to work around something minor. Note: The menu changes constantly. 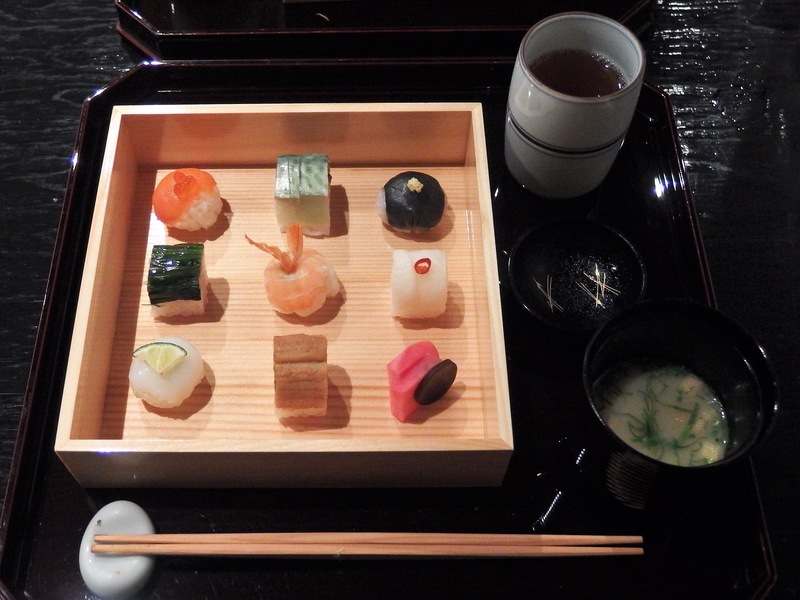 Here are the dishes we received on our last visit (Mamezushi Course 8,800 yen).